Problem Statement:-Mobile phones are a boon as well as a bane in today’s world. There are innumerable circumstances where these phones help us save us time and energy. Most people own computers these days, and sometimes to avoid interruptions from the phone ringing from time to time to signal notifications, they put the phones on silent mode while using their laptops/PCs for recreational purposes, such as watching movies. This may lead to ignoring of some important calls, and it is difficult to realize that the phone is ringing because it was put on silent mode. i came up with a solution consisting of a device which warns the user that a phone call is coming, and provides a simple interface (pressing a button) to pause their media playback. The playback can be resumed by simply pressing the button again. 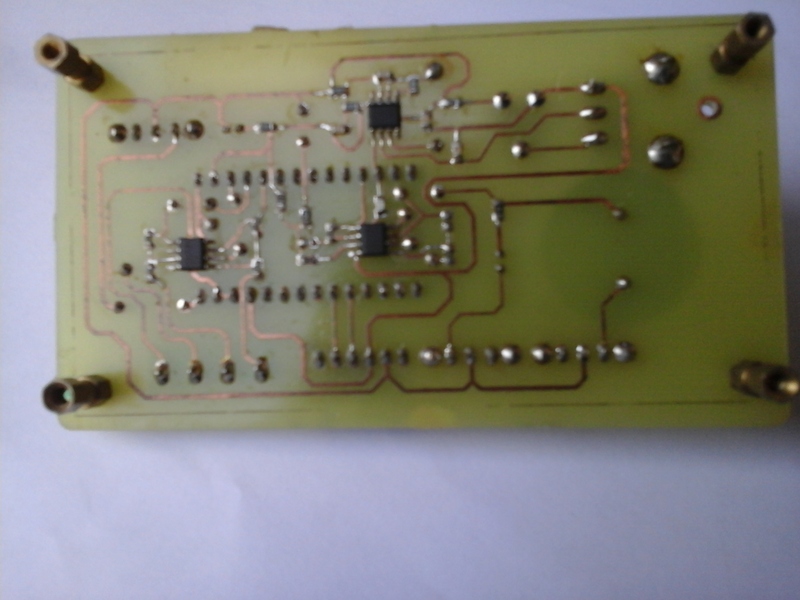 Conceptual Details:-The proposed solution of the interfacing device is a simple microcontroller hooked up to the computer via a MiniUSB interface, and registers itself with the OS as a Human Interface Device (HID). The device descriptor inside the microcontroller ROM communicates with the host computer, and it seems to the host as though a USB Keyboard is attached to the port. On pressing the button, a handshake signal is triggered via the USB, which sends a keystroke for ‘pause/play’ to the host PC, which pauses the currently playing media. 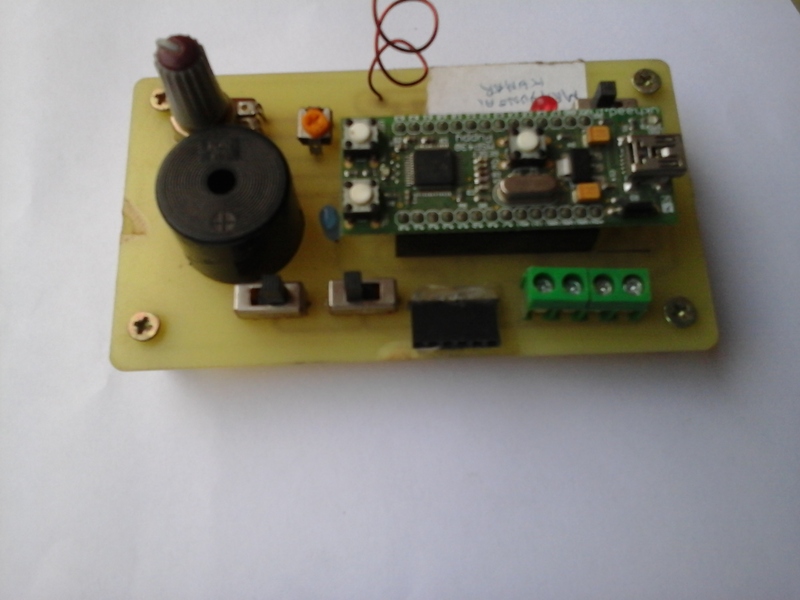 The board also consists of an antenna sensitive to the 2G and 3G mobile frequencies, and as soon as the phone communicates over the network (i.e. 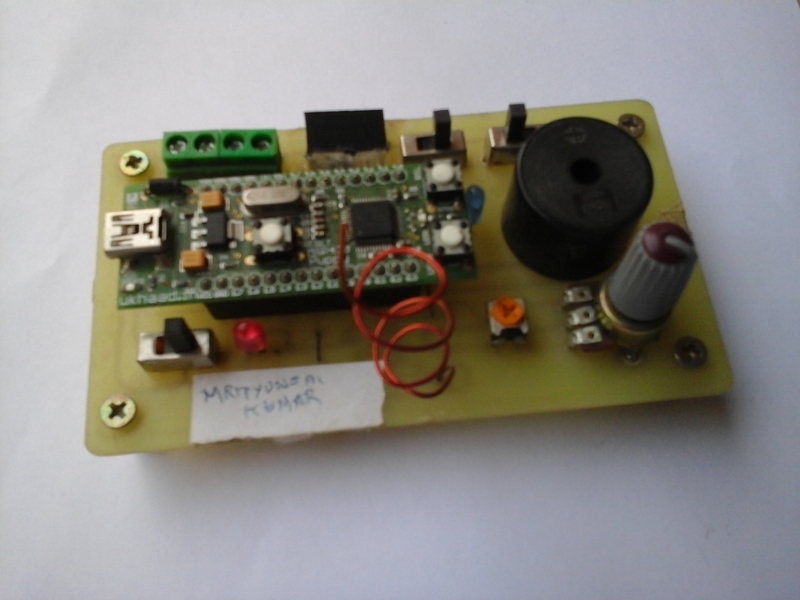 just before the incoming call), the antenna detects the network activity and using a voltage amplifying opamp network, activates a speaker providing audible warning a few seconds before the call is actually shown by the phone. The circuit also consists of an LED with the speaker, which flickers before the call to provide visual indication of network activity. The amplification is done via a network of LM358 opamp ICs, and the power to the board is supplied via the microcontroller’s power output pins. The entire circuit is powered by the USB from the host computer. For now, the board detects a phone call and warns the user to press the play/pause button, about the incoming call and leads to pausing of media playback on detection of network activity. The input intercepted by 3 pins from antenna by MCU are show below. This input is correlated by previous pattern obtained by audio line which retain the pattern of some part of carrier frequencies. For example the audio pattern obtained by blue line is show in video shown below. Source code for this project is shared at Github. The board displays expected results when tested.It works on every 2G signal. Besides 2G call for a Nokia Lumia 520 working on an Airtel 3G network was detected about 4 seconds before the phone displayed the notification, and the media playback was instantly paused by pressing the user button on the MSP430 Puppy or can be automated by code to pause the audio or video. Advancement in next version will be on response from your phone only. 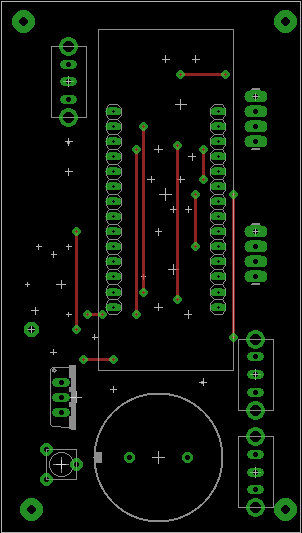 I have prepared an Android app which send the input call number on device via Bluetooth input provided on UART input. This app is working via help of android.telephony.TelephonyManager library. Testing is going on. After this app, this device will respond from your phone’s incoming call only :).